Environmental solutions that make a world of difference. Waste Management Blue Barrel Disposal (Saugus) provides residential trash collection, commercial trash collection and industrial trash collection, recycling services and dumpster rentals. 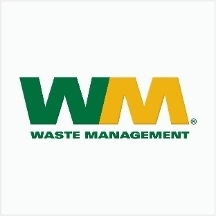 Waste Management Blue Barrel Disposal (Saugus) is dedicated to serving customers and communities as a safe and comprehensive service provider, a good corporate citizen and a responsible environmental steward. Waste Management Blue Barrel Disposal (Saugus) makes it easy to reduce, recycle and reuse. Call or visit our website today for more information!